No matter where we live, there is a hidden world going on all around us, full of magic, mystery and adventure. Quite literally what we perceive as ordinary reality is far, far more than this, containing secret knowledge which was understood by an ancient, arcane tradition that still exists quietly in our midst. This knowledge, hidden and carefully preserved over thousands of years is revealed for the first time in this book by Simon Buxton – where magic is only a wing flutter away and reality is seen through compound eyes. 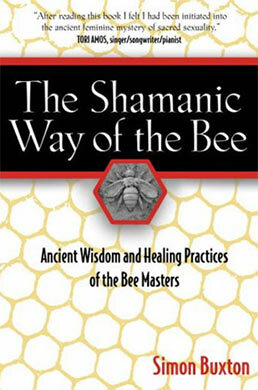 In The Shamanic Way of the Bee the intriguing world of bee shamanism – the Path of Pollen – is revealed and explained as both a vital part of our heritage and a practical system of healing, wisdom and spiritual development. It is written as a marriage of ethnography and autobiographical memoir, detailing the true adventure story of his initiation into this ancient tradition. As with all new and unusual experiences, his immersion in a new world order and way of being was sometimes terrifying, sometimes exquisitely beautiful, and readers everywhere will be enchanted as they share his journey.